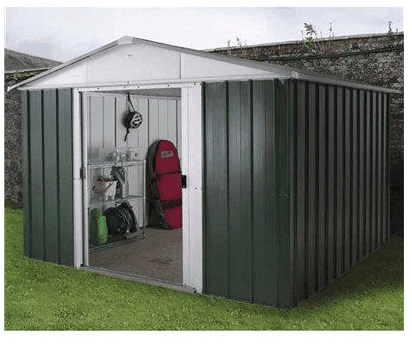 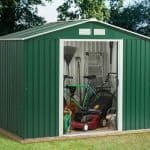 The Yardmaster metal shed is built to last and is an affordable choice. 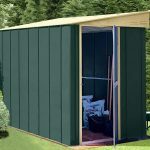 This functional, practical building is perfect for all of your light gardening needs and with plenty of space for outdoor furniture and toys too. 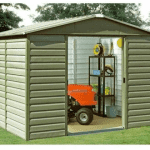 It has large, double doors allowing easy access to all your equipment and they are lockable too for the ultimate in security. 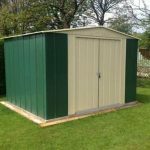 It is a handsome metal shed and will look good in any outdoor space and is particularly useful for limited space gardens.